Navigate to the United States Copyright Office website. Click the "Search Records" tab at the top of the website. Click "Search the Catalog" under the "Online Records" heading. Click "Set Search Limits." Select "Music" if you are searching for the musical composition (i.e. 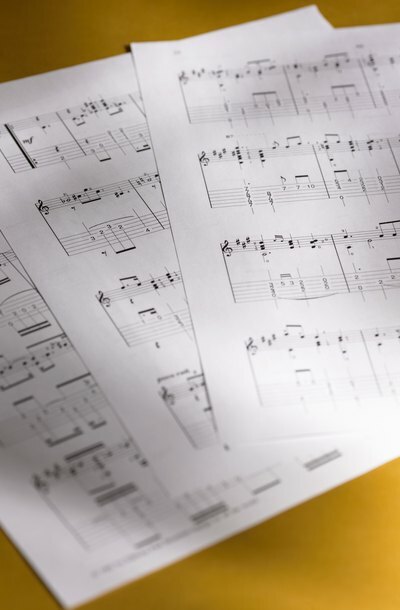 the sheet music) of the song or "Sound Recording" if you are searching for the actual recording of the song . Note that you can also select "Sound Recordings and Music" to conduct a search for both. Click "Set Search Limits." Select the search criteria (i.e. the title of the song, name of the artist, etc.) from the "Search by" box and type the accompanying information in the "Search For" box. Click "Begin Search." Any songs matching the criteria will appear on the "Public Catalog" screen. Navigate to the United States Copyright Office: Search Request Estimate website. Fill out the Search Request Estimate form and click "Submit." The form will be received by a staff member who will conduct a search based on the information you supplied. Note that the staff charges by the hour. Thus, the more information you supply in the form, the better. If you would rather conduct a manual search at no cost, continue to the next step.